The ending of the Central Intelligence Agency's covert bankrolling of Syrian insurgent groups has produced a truly bizarre development – a number of rebels have defected to President Bashar al-Assad's forces, in a clear demonstration of just how fundamental US taxpayer dollars were to the war. A number of fighters hailing from the Revolution Commando Army — formerly the New Syrian Army — abandoned their posts and defected to the government side during the week commencing July 24. The group not only received CIA funds, but was also trained by US special operations personnel, under the direction of Pentagon. CIA backing of the NSA/RCA was long-suspected — in 2016, observers noted fighters belonging to the group were equipped with US-made small arms and tactical terrain vehicles other rebel groups typically lacked — although it was only when US President Donald Trump canceled the program it was effectively officially confirmed. Despite their apparent advantage, the group's performance in Syria was surely underwhelming from a US perspective — despite US air support, its fighters failed to recapture the Syrian city of Al-Bukamal from Daesh in July 2016. Then, Jennifer Cafarella of the Institute for the Study of War told wire services the army was "definitely not off to a good start." The NSA subsequently collapsed in December that year, with many giving up the battle entirely — those who remained formed the RCA. Officially, the policy of backing "rebel" groups in Syria was initiated under Barack Obama's administration in 2013, although there are suggestions it began far earlier. The goal was to train at least 5,400 "moderate" (i.e. non-Islamist rebels) to fight Daesh, while also opposing the legitimate Assad government. While not overtly acknowledged, the policy — and its grave failure — was well known in Washington for years prior to Trump's cessation. 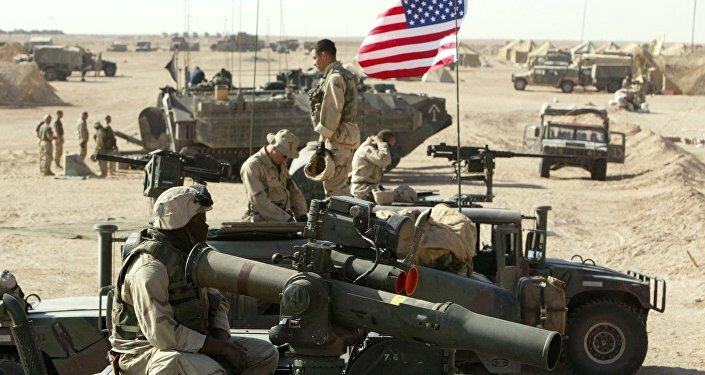 Senior US officers have testified to Congress that an undetermined number of rebels ended up absconding withUS military equipment and joining Islamist groups, including Daesh. Furthermore, in September 2015 then-CENTCOM commander General Lloyd Austin told the US Senate Armed Services Committee half a billion dollars of funding for military training of Syrian rebels approved by Congress had only produced only four or five opposition troops in the field by that point. Critics have suggested the real purpose of the program was not to defeat Daesh, but to topple the legitimate Syrian government of President Bashar Assad — and its existence motivated other anti-Assad forces, such as the Gulf Cooperation Council, Turkey and assorted jihadists the world over, to step up their own destabilization efforts. Whatever the truth of the matter, continued US support for rebel groups in Syria effectively blocked any moves to the conflict in Syria constructively — despite the six-and-a-half year war ravaging the country and costing over 600,000 lives. Moreover, while wedded to the policy, the US was effectively precluded from seeking a negotiated resolution to the crisis. However, Trump's decision to end the CIA support program breathed new life into the Syrian peace process. The termination of CIA funding for the rebels is perhaps the final tree to fall in the once vast forest that blocked peace and reconstruction in Syria. Turkish President Recep Tayyip Erdogan has ceased all territorial claims in the country, and is pursuing a constructive and pragmatic policy of reconciliation and rapprochement with President Assad, and the Russian Federation, which has produced an effective ceasefire in most parts. Moreover, the clash between Qatar and other members of the GCC has distracted the latter, in particular Saudi Arabia, from the Syrian crisis. Internationally, leaders that support regime change in Syria are dwindling with every passing week. That rebel forces are now defecting to the government they once violently opposed is surely the clearest indication yet that President Assad is set to stay in place as the country's leader.